Looking for a sweet homemade Valentine treat to make? 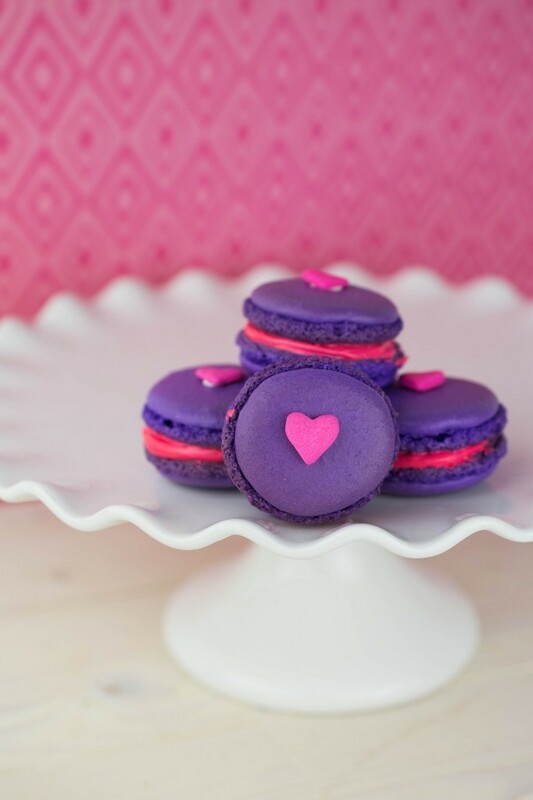 These Valentine’s Day purple macarons will wow them- and you can easily adapt for any holiday or celebration! 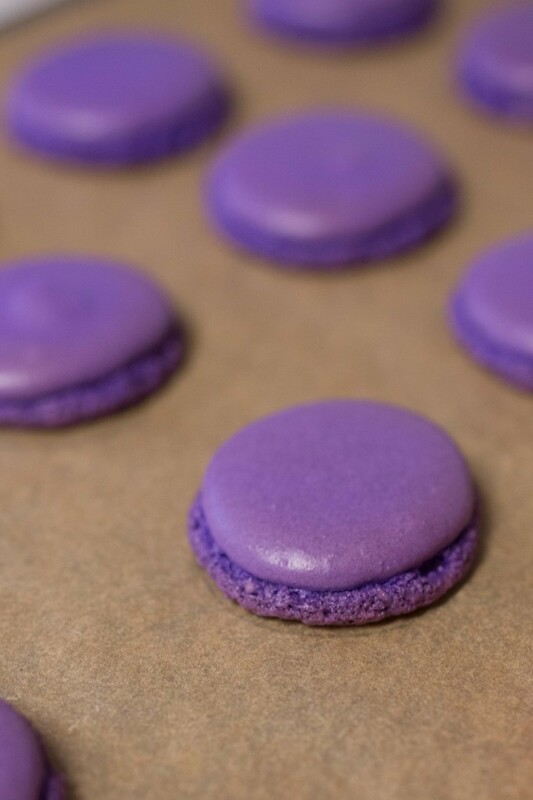 Add in the purple gel food coloring to reach desired color. Remember, when you incorporate the meringue into the almond paste, it will lighten the color a bit. Fold about 1/3 of the meringue into the almond mixture. Add a little bit of meringue at a time to adjust the consistency of the macaron batter. It should be smooth and run in thick ribbons off the end of a spoon. You will likely have a bit of meringue left over. You don’t want it to be too thin, or it will spread too far when piped. If it’s too thick, flaws in the tops of the cookies will not work themselves out. Add the batter to a piping bag (I really like my reusable piping bags because I don’t like the waste from disposable ones) fitted with a #12 tip and pipe it onto the parchment paper, using the template as a guide. Don’t fill the circles completely with batter — it will spread a bit as it settles. Once cool, spread icing on the bottom of one cookie and use another to make a sandwich. I used some of the left-over meringue to attach small red heart sprinkles to the top of the finished macarons. Want more Valentine’s Day yummies? Perhaps a mini cheesecake for two will work for you. Or maybe you’d like to enjoy a little Valentine’s Day cocktail?! These are so pretty and my daughter would go nuts for them! Thanks for sharing on Show Me Saturday! This are simply beautiful! The colors (every little girl’s favorites) are so bright and cheerful. 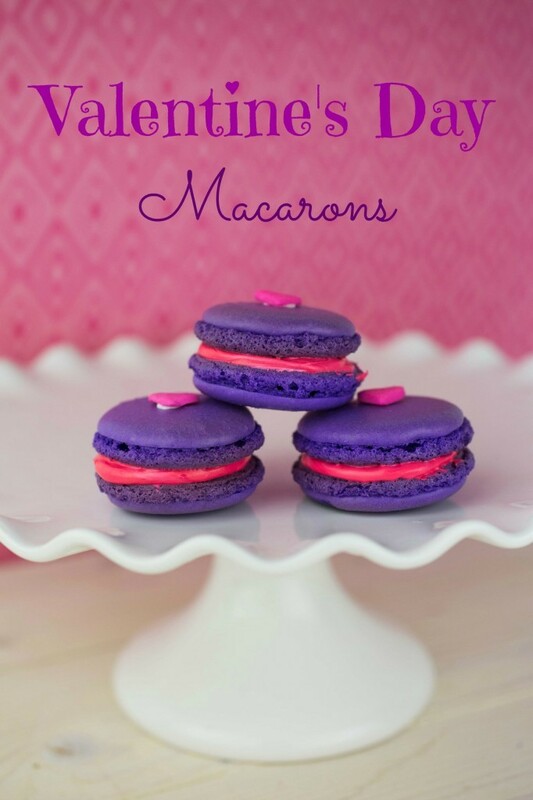 There are several people on my list of loved ones who would be thrilled with these macarons for Valentines Day! Thank you for the detailed directions and process photos! Such pretty colours! These are absolutely perfect for Valentine’s Day! These are so pretty and I love the fun colors! I love this recipe idea. The kids would have a blast making it, wonder if I could do it in other colors for the boys too! 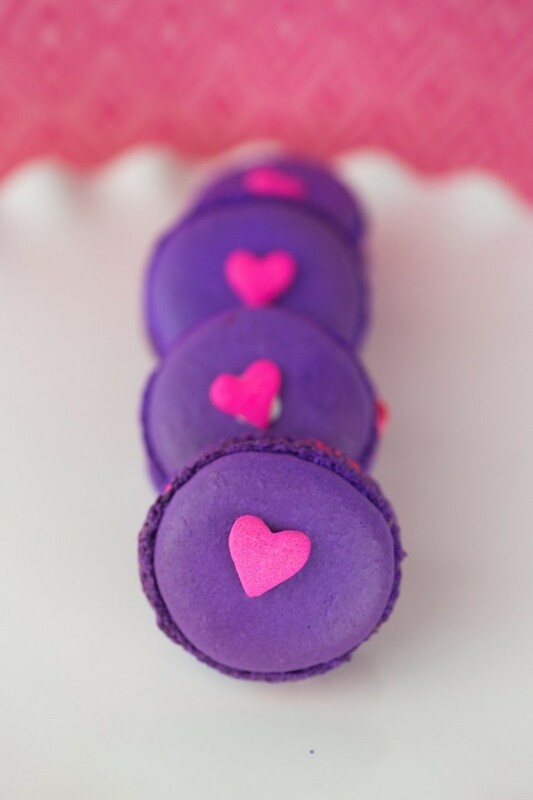 So lovely macarons! I ‘m sure they ‘ll make the Valentine ‘s Day sweeter! These look awesome! 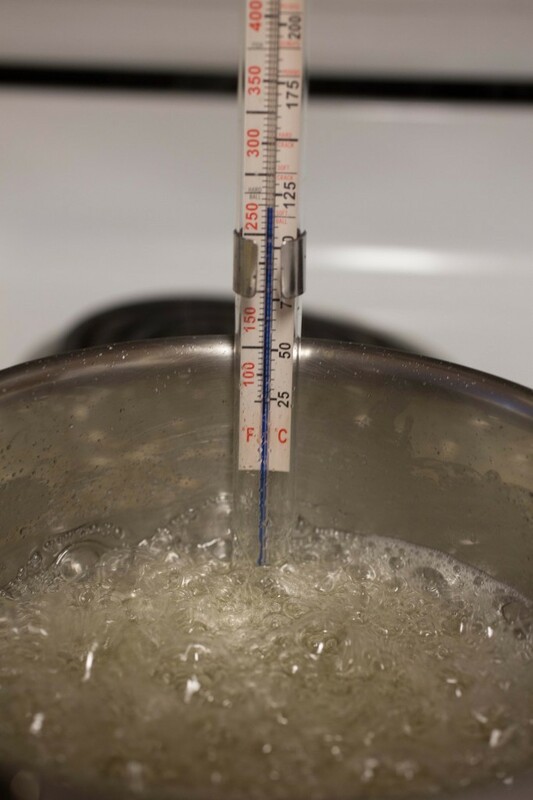 I remember using that candy thermometer with my mom when I was little. I have been looking for a fun treat for V-day, thank you! I’m a fan of macarons since my highschool days! Ohh sweet macarons! It seams to easy! I love them! So, so cute! They look so pretty, and so delicious. I think I will make pink cookies with chocolate buttercream icing. Thank you for sharing this recipe. Those macarons are just so pretty!! I’ve never tried making them before, I’m going to have to try them! Those are soooo pretty! I have to try this I love the deep colors! !